8 What Have I Become? In 2009, I was an iPhone user. 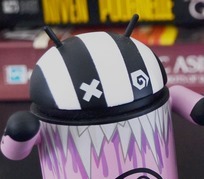 I had been watching Android intently, but none of the hardware really appealed to me. As the end of the year grew near, I felt the itch to get out of Apple's walled garden. I didn't hate my iPhone, but I knew it wasn't the right platform for me. I bought an HTC Hero, and I still pride myself on having the commonsense to return it a few weeks later and buy the Motorola Droid. Since then, I've continued buying Android devices, as well as other bits of technology that help me do my job. I'm going to go over the basics, of course – I'll tell you what devices and software I use, but I also want to tell you about the little things that help me get by. Maybe a few things that I just kind of like too. Basically, I want to show you around my office. 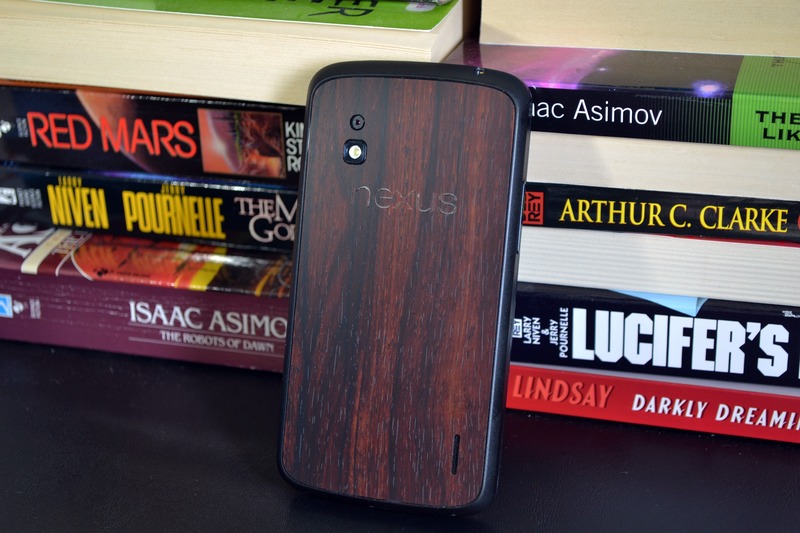 I was using the Galaxy Nexus on Verizon a year ago, and I was not satisfied with the experience. See, Verizon's service is actually pretty awful where I live, which I understand is a bit of an unusual situation. So when the Nexus 4 was announced with HSPA+ only, I was not terribly concerned. Indeed, T-Mobile's HSPA+ is faster than Verizon's LTE most of the time in my area. I'm still totally in love with this phone. I tried to use an HTC One as my daily driver for a time earlier this year, but it just didn't feel right. I ended up back on the N4. I recently added a snazzy dbrand mahogany skin to the back, because why not? This phone does everything I need it to do. It's fast, looks nice, has a solid screen, and gets me through a day on a charge. The instant we got word the new Nexus 7 had gone on sale early at Best Buy stores, I was out the door. My first-gen N7 was one of the ones affected by the performance degradation caused by poor storage management. I was anxious to upgrade, and the new N7 was exactly what I needed. It's speedy, looks really nice, and it feels great in the hand. That screen – goodness, I love that screen. The Nexus 7 is the device I go for first when testing a new app or game. I prefer the experience on a 7-inch slate to a phone for pure interface exploration and gaming. I suppose you could say I'm still in the honeymoon period with this device. Over time I'll probably find things I don't like about it, and we'll have to get divorced. By which I mean I will list it on Craigslist and buy a new tablet. Okay, hear me out. I like the way Android works – it makes sense to my brain. I don't particularly care for iOS, but a lot of people do. Apple owns a huge segment of the market and has a robust developer ecosystem. There are apps and games on iOS that we don't yet have on Android. I write about technology, and that's not limited to Android. I feel like I need to know what's happening on iOS to understand where mobile technology is, and where it's heading. 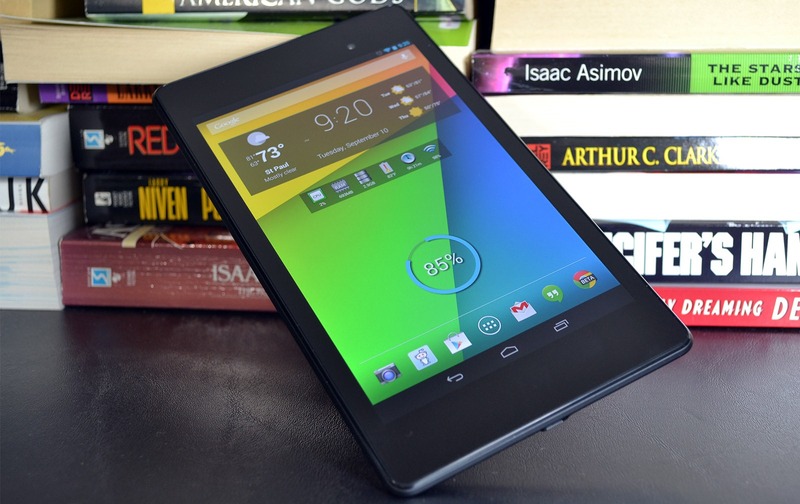 I use the iPad regularly, but I prefer my Nexus 7. DeskSMS – I have my tablet in my hands all the time, and DeskSMS lets me manage text messages from it. Until the day I can force everyone to use Hangouts, I'll use DeskSMS. Dropbox – My favorite cloud storage service. I even pay money for a premium account. I know people are up in arms about the cloud, but this service is too useful for me to abandon based on a theoretical threat. Helium – App backup done right—finally. Keep – I use Keep for making short notes and keeping track of projects with checklists. Reddit Is Fun – I have to relax sometime. Falcon Pro – I still use this app despite it leaving Google Play. I can't imagine it will be updated often now that it's banished. I might try switching once the updated official client rolls out. Shush – Shush makes sure I never forget to turn my ringer back on after the movie. Solid explorer – My favorite way to manage files. Has support for local storage, cloud services and FTP/SFTP, among others. Elixir 2 – I like to know everything that's going on in my system. I don't know why, I just do. Elixir 2 lets me do that. Beautiful Widgets – Yeah, I still use Beautiful Widgets, but mostly for the insanely configurable weather forecast widget. It's great. Battery Widget Reborn – The most elegant way to track your battery life, and it has a great notification tray option. Power Toggles – Great for having weird settings right at your fingertips. rymdkapsel – An unexpectedly amazing strategy game. Riptide GP2 – Absolutely one of the best racing titles to ever grace a mobile device. Well-balanced, great graphics, and fun tracks. Reaper – A hack-and-slash RPG. I'm just getting into it, but it seems amazing. Kingdom Rush – The best tower defense game on Android. Punch Quest – It's an infinite runner, and it's a little retro, but it's still great. This game is the best way to kill 5 minutes. What it's running: Windows 7 Home Premium, Windows 8.1 in October-ish. I do most of my work at my desktop PC. I have a dual-monitor setup with a pair of 24-inch panels. I just feel more productive when I don't have to move windows around to see what's happening. This system was built about a year ago, so most of the hardware is still new-ish. It's running an Intel Core i5-3570K, 8GB of RAM, Nvidia GeForce GTX670, a 128GB Crucial SSD, and a 3TB Western Digital Green hard drive. All this is stuffed inside a Lian-Li case, which I love. I'm currently waiting on a good time to take this PC apart and put in a new MSI motherboard I have sitting in the corner. My current Gigabyte board is misbehaving… I don't want to talk about it. While I prefer desktop computing, I still need to be mobile sometimes. 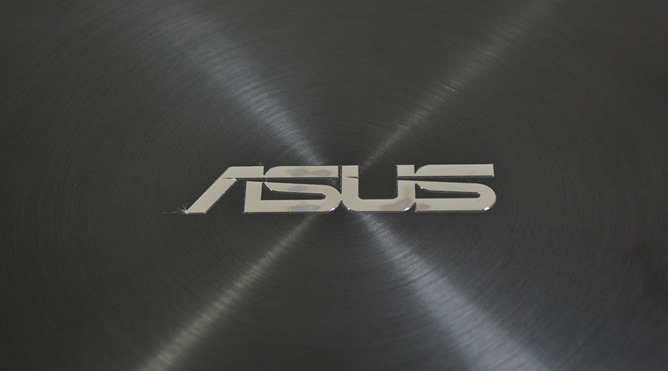 I finally replaced my aging Samsung laptop recently with an Asus Zenbook. This computer is running Windows 8, which I'm kind of ambivalent on. The Zenbook has a touch screen, which makes Windows 8 a little more usable. 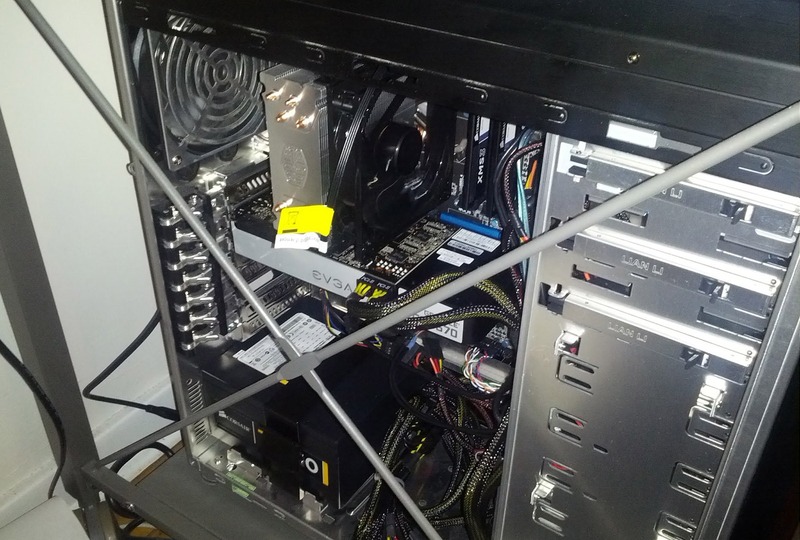 It's running an Ivy Bridge CPU, not Haswell, but it's still a nice system with a killer 1080p screen. I cannot claim to be an expert photographer. I've picked up enough to get by, but having a good camera helps. 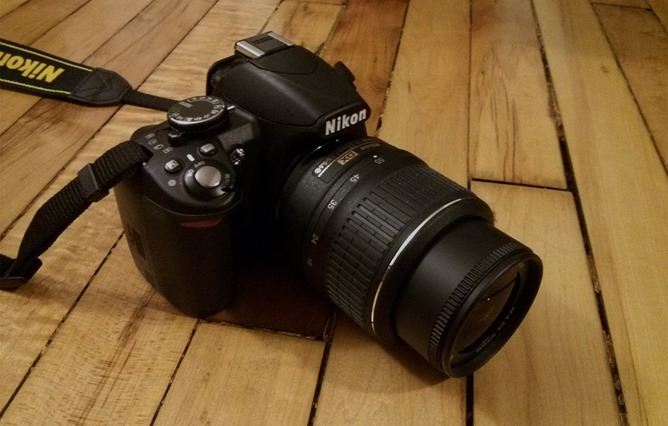 I bought the D3100 about 18 months ago, and it's served me well. It has since been replaced by the D3200 as Nikon's entry-level DSLR, but this one still serves my purposes, even with fewer megapixels. Almost all the images I take have to be scaled down for the web anyway. The next time I buy, I'll probably go mirrorless. Like several other members of the team, I took advantage of the deal we posted a few months ago for the red Powerbag backpack. It was only $15! I love this thing. 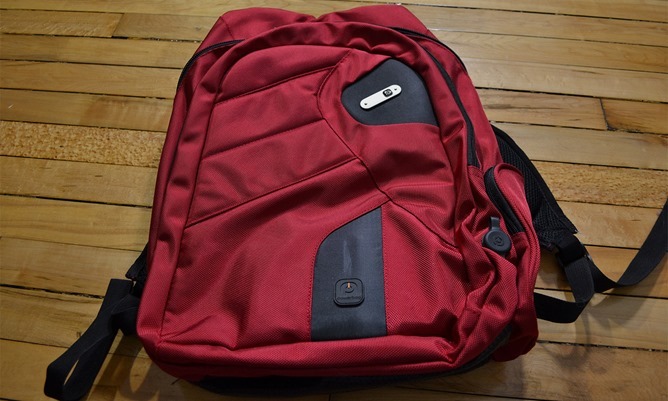 It has a ton of pockets, a well-protected laptop sleeve, and a battery to charge my devices. What's not to like? This thing has measurably improved my quality of life. I type a lot, as you can probably imagine. It can really be murder on your hands spending all day with your fingers stabbing mushy, stiff, or loose keys. 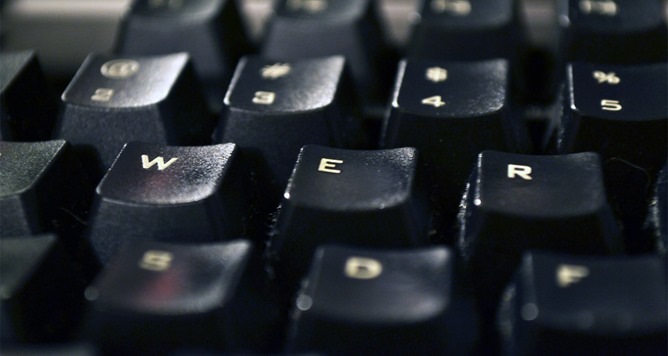 A mechanical keyboard, like the Das Keyboard, provides a much more consistent typing experience. The mechanical switches are tactile and move smoothly up and down. You don't even have to depress the keys all the way – simply feel for the actuation click and move on to the next key. My hands feel much less jacked up after a lot of typing. Mechanical switches are also very durable – the keys feel exactly the same as when I bought the keyboard two years ago. Mechanical keyboards are a little loud if you get the Cherry MX Blue (or comparable) switches. I have the Das Keyboard Silent, which uses Cherry MX Brown switches. It's still louder than a regular keyboard, but the Browns are better for gaming. A mechanical keyboard probably isn't worth it if you don't pound away on the keys for 8 hours a day. The Das Keyboard is $125. For me, this was a reasonable purchase. I like to be prepared for every tech eventuality, so I need tools. I got tired of hunting down janky screwdrivers every time I needed to get into something, so I bought these a few years ago. With some custom additions, I feel prepared for the inevitable. I don't have any specific recommendation, except make sure you have a good tool kit that suits the stuff you tinker on. Whatever you think you'll need – have it. 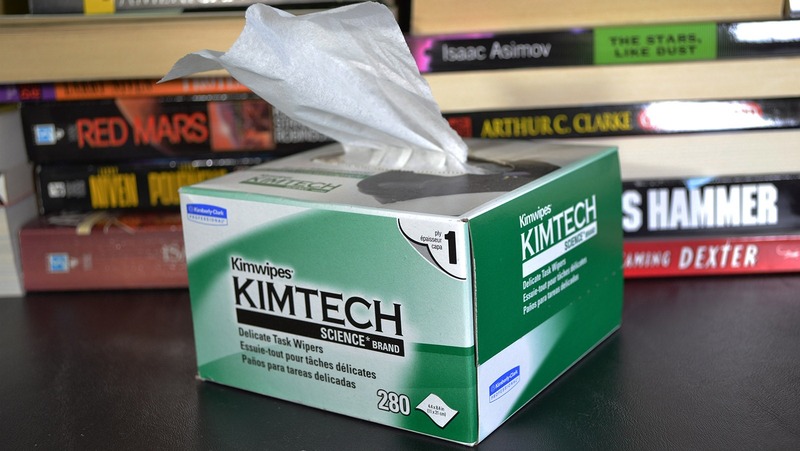 More than likely you have no idea what a Kimwipe is. These are small single-use paper sheets often used in scientific laboratories to clean glass slides, microscope objectives, and densitometer plates. They are used because they leave no residue and there are no rough fibers to scratch things. That makes them perfect for cleaning touchscreens. Being paper, you just throw them away when you're done. Sanitary and super-effective. They're not essential, but I love these things. You can buy them for about $5 per 280-sheet box on Amazon. Besides, how else am I supposed to clean my screen? My shirt? What am I? An animal... with clothing? If this contraption has a more official name, I don't know it and don't want to know it. This is the grabber, because that's what it does. I dig it. If I drop something behind my desk (which I do embarrassingly often), I don't want to crawl around on my hands and knees looking for it. That's what the grabber is for. It's also great for running cables behind bookshelves and other furniture. Yes, I know this is a strange thing to have around, but it's crazy-useful. So that's all the stuff I have around my office. 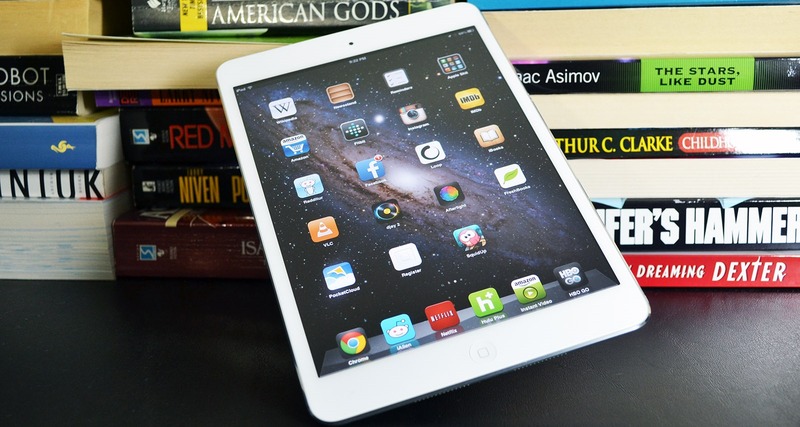 Some of it is clearly essential – I couldn't do my job without my mobile devices or computers. Some of it is just comforting to have, like the grabber. I suppose the Das Keyboard falls somewhere in between for me. I can get by without it, but I really don't want to. So now I bid you good day with a view of the air above my desk. Every day for the last decade this mobile made from an Intel 486-based computer has hung above me. I just like having it there.